This has been a season of helping others carry their burdens. I have a few family members going through some very stressful and hurtful situations. Some difficulties cannot be avoided or ignored. When you love someone you feel for them and you hurt with them. One of the ways I like to restore my spirit is by walking or hiking in nature. 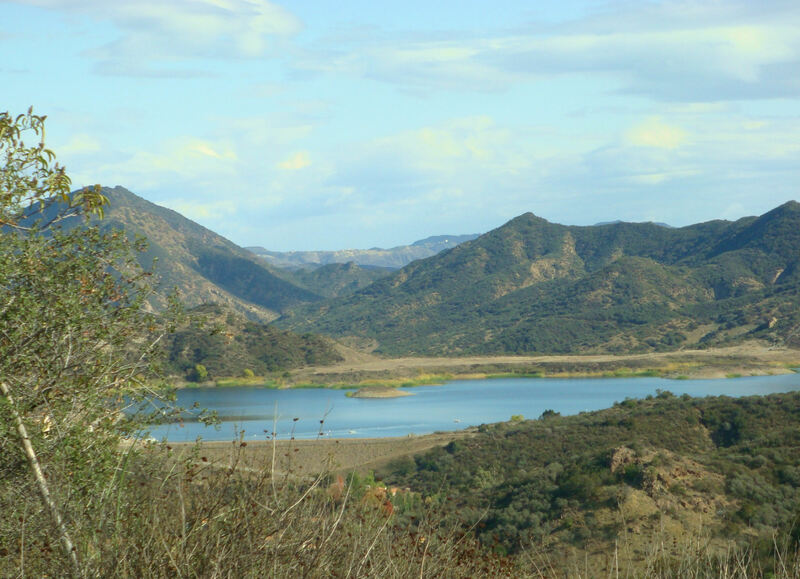 The hills above my home in Westlake Village are a close retreat. When I started out on my hike my heart was heavy, unaware of the beautiful treasures I would soon find hidden in the chaparral. Within minutes, I was dazzled by a burst of color. I had never seen this particular collection of wild flowers. They were much larger than any I had ever come across before, so vibrant and delightful! Nature provides us with a simple way to improve emotional health. Flowers trigger happy emotions, heighten feelings of life satisfaction and increase positive social behavior, according to a study at Rutgers University.” What’s most exciting about this study is that it challenges established scientific beliefs about how people can manage their day-to-day moods in a healthy and natural way,” said Jeannette Haviland-Jones, Ph.D., Professor of Psychology at Rutgers and lead researcher on the study. Another group of wildflowers I saw that day was such a lovely orchid purple color, I could hardly believe my eyes. Southern California is in a drought and these beauties sprang up without any man-made cultivation. Incredible! They were perfection. Does God speak through flowers? I think so. As I moved in closer to more fully experience their fragrance, Jesus’ words came to my mind. These verses spoke to my heart, refreshed my soul and renewed my mind. Mothers are the sweetest beings God ever made and put a soul into. I was blessed with a visit from my mom from Pennsylvania,. I am very grateful for those rare and precious moments shared with my mom. May the garden of your heart be filled with flowers. Spring is here and my attention naturally turns to the outdoors. I like to enjoy the wonder and beauty of our earth, fresh air and pure food. Stopping for a yoga stretch on spectacular Zuma Beach. I am very thankful to God for this world. In honor of our miraculous planet, and Earth Day, I would like to share some thoughts that are on my heart. Vandana Shiva, is an insightful woman who had the vision over 25 years ago to save seeds. She had “an ethical urge to defend life’s evolution, life diversity and the freedom of life…”. She created seed banks when she realized big corporations were going to make seeds their intellectual property by “marrying seeds to chemicals”… and they have. I do not agree with all her philosophies but in this, she did have some good foresight. Henry Doubleday also saw the need to preserve heirloom seeds. He set up the Heritage Seed Library decades ago to preserve seeds of as many of the older cultivars as possible to prevent their catastrophic loss. Preserving the purity of their product, growing crops free from contamination by genetically modified crops and the pesticides used on biotech versions is a concern and getting more difficult and more costly for U.S. farmers. Genetically modified organisms have been banned in many countries around the world. 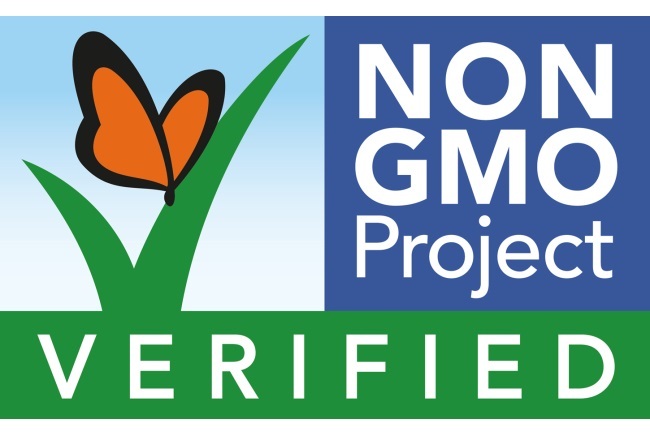 I look for the NON GMO and USDA Organic label when I shop. For the most part, my family and I live a plant-based lifestyle. 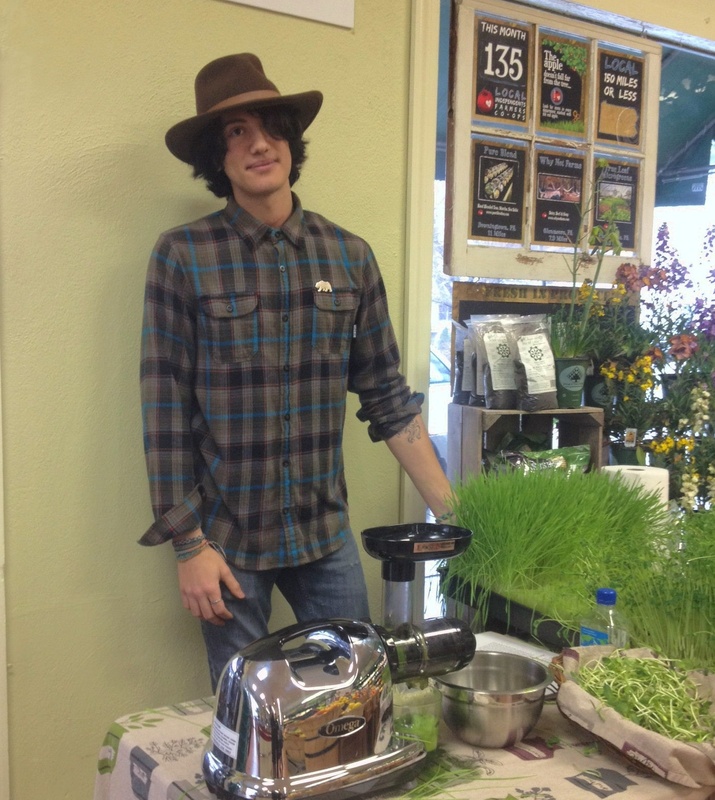 My Nephew, Marco Degli Esposti, recently started a business cultivating fresh sprouts and wheat grass juice for natural food markets and home delivery. It’s a labor of love for him; he is enthusiastic about their proven health and healing benefits. A survivor of a near-death experience, Marco has an amazing and courageous comeback story. You can read about it on his Campi Verdi Foods website. It will inspire you! My respect for the important part honey bees play in circle of life on this planet makes me wonder if the collapse of their colonies will cause a ripple effect through all of nature. 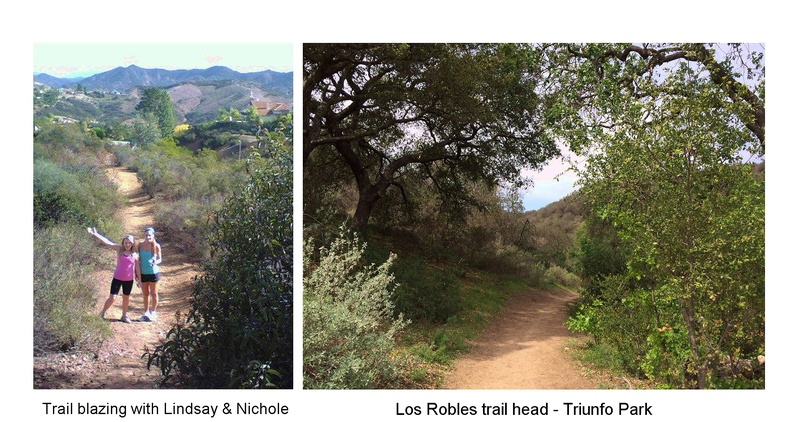 I am blessed to live in an area with open space and many maintained hiking trails. Walking in nature, restores my spirit and provides me the opportunity to lift my heart to God in appreciation and prayer for His creation. My daughter, Lindsay and her friends don’t want to imagine a world devoid of the magnificent natural wonders I enjoy regularly. We are all responsible for sustaining the earth for the next generation and should be involved in doing that one way or another. Copyright, Linda Eichberg, all materials contained within this blog may not be used without expressed written permission. A good sense of humor may help protect you against a heart attack, according to recent discoveries by cardiologists at the University of Maryland Medical Center. The study suggests that laughter may help prevent heart disease by improving blood vessel tone. Laughter stimulates the circulation and helps your blood vessels function better by acting on the endothelium, the protective lining of the vessels, causing them to open and increase blood flow. Laughter may also help prevent cholesterol build-up in the coronary arteries that leads to a heart attack because it reduces stress. In other words, a good laugh is good for your heart. 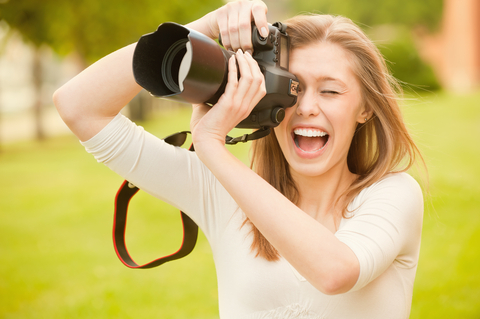 “Looking at life through the lens of humor is good for your health”. – L. E.
“We know that exercising, not smoking and eating foods low in saturated fat will reduce the risk of heart disease. Perhaps regular, hearty laughter should be added to the list.” – Dr. Micheal Miller, Univ. of Maryland School of Medicine. Make a date with laughter, daily. Read something funny or watch a funny video or television show. Researchers have found the even the anticipation of experiencing laughter created feel good hormones that boost the immune system. When I was a kid, I looked forward to laughing with “The Three Stooges.” Today, my daughter watches a modern version of their TV show. God bless her, she likes me to watch it with her. “Impractical Jokers” is pretty outrageous. It’s sort of like the ‘naughty’ Four Stooges meet Candid Camera. I sometimes complain that watching their crazy pranks will, “rot my brain” but, as Lindsay is quick to point out, I am usually laughing the loudest! We both enjoy watching reruns of “King of Queens” on a Saturday morning. Great bonding time! This is American Heart Health Month. 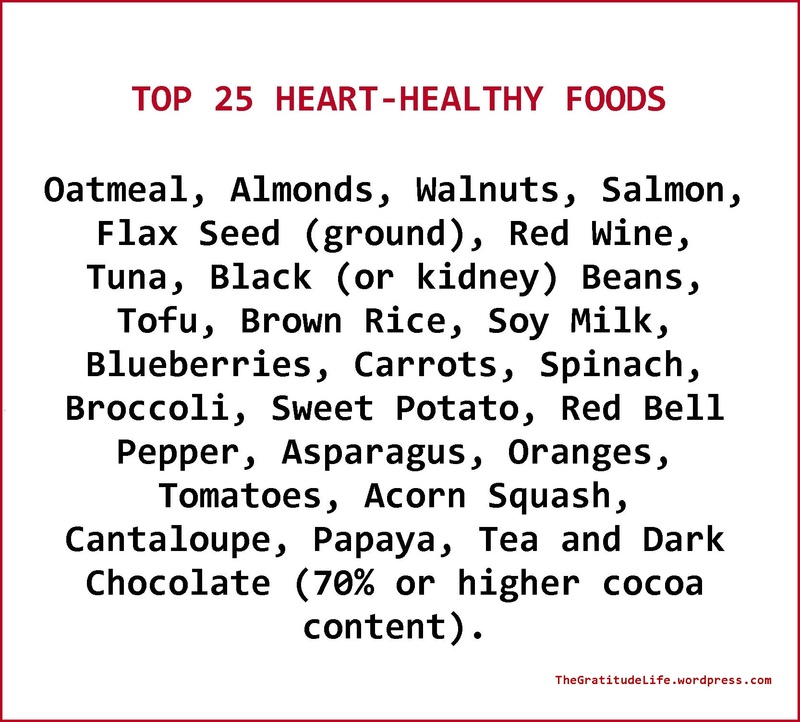 Heart disease is the number one killer in the U.S but it doesn’t have to be. The benefits of diet and exercise for the heart are well documented. Researchers from the University of South Carolina found that adult men, who had little physical activity throughout the day, had a 64 percent greater risk of dying from heart disease compared with men who were living a more active lifestyle. My friend, Christl, reduced her cholesterol by 100 points in one month through diet and exercise. Facts also support the idea that, “yoga can help reduce such cardiovascular risks as insulin resistance, high blood pressure and blood vessel inflammation.” For the 2.7 million Americans diagnosed with atrial fibrillation, “yoga may be especially helpful.”  Since I teach yoga, this is very good to hear. Did you ever hear of laughing yoga? Laughing yoga and laughter clubs are where people get together to laugh without using jokes. It’s coached laughing. They laugh for the health of it! 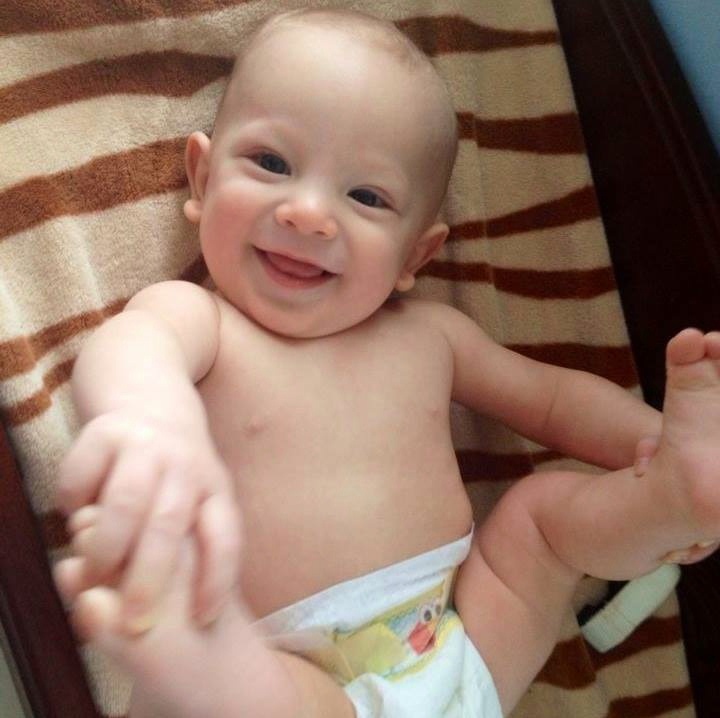 Babies laugh and do yoga before they can walk or speak. It comes to them naturally. They laugh without having to get the joke. We were created to laugh! Togetherness strengthens heart health. A University of New York at Oswego investigation found that blood pressure dropped when one spent time with a spouse or partner. Engaging with other people does seem to help the heart, so what could be more awesome for the heart than sharing unconditional love and taking a yoga class together? Looking at this photo of my former boss, Dean Martin, I can’t help but smile. 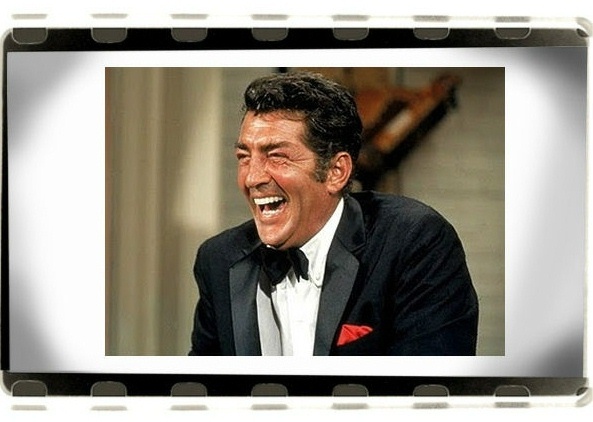 Dean spent the latter part of his TV career celebrating comedy in The Dean Martin Comedy Hour and the Dean Martin Celebrity Roasts. Dean was smart; he got paid to laugh. Being one of his “Golddiggers” during that time, I guess I did too. What a blessing! Watching some of his old video clips still make me chuckle. 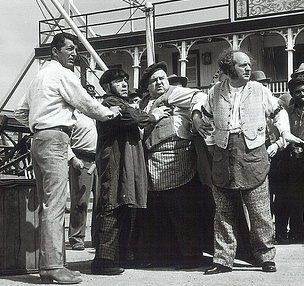 Humor was a big part of Dean’s charm, on and off the set. My sister, Maria and I spent almost two decades working with him. Oh, the stories we can tell! If you are interested in Dean Martin, The Golddiggers, Frank Sinatra, Louis Prima, The Rat Pack or the legends of 1970’s television and Las Vegas, you will find our book BEYOND OUR WILDEST DREAMS, interesting and entertaining. BEYOND OUR WILDEST DREAMS contains over 350 photos. Entertainers and musicians across a wide spectrum of the industry have contributed to the stories in this book. DISCLAIMER: This is a personal blog, reflecting my personal opinions and its contents are not intended to offer personal medical advice. All content is copyrighted and may not be used without written permission. January is a time for cleansing and renewal for some people. It’s also a time for second chances and receiving fresh grace for the year ahead. Some of my fitness clients are dieting to lose their extra holiday weight. When it comes to diet and nutrition, instead on focusing on what they have to give up, I encourage them to focus on what they can and should have. Good advice; focus on the good, what we can do to best nourish our body. Focusing on the good stuff will automatically push out the bad. Looking good and being healthy is an inside job too, body, mind and spirit in harmony. Superfoods earned their name because of their ability to promote good health, add to our longevity and quality of life and stave off disease. Their are a wide variety a green vegetables in the superfood category. One of the most important benefits of eating raw, fresh greens is chlorophyll. Chlorophyll is the ‘blood of the plant’. It changes sunlight into the energy that makes plants grow. Greens give the same life-giving energy to us. Chlorophyll resembles the molecules of our red blood cells. All green plants contain chlorophyll; the darker the green, the more chlorophyll. 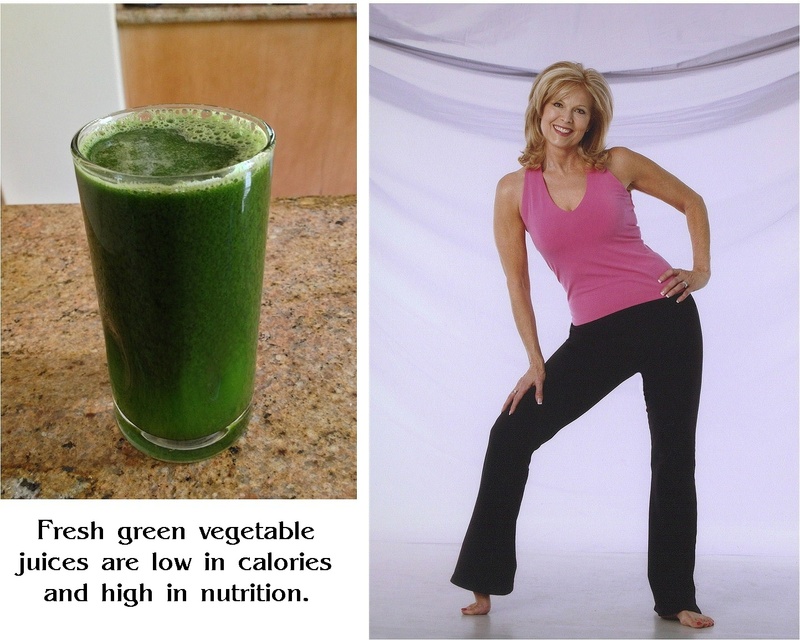 Wheat grass juice contains 70% chlorophyll. Known for it’s healing properties, it is enzyme-rich and has 17 of the amino acids. Rich in vitamins and minerals, this super seed also contains more calcium than milk and has equal amounts of omega-3’s as wild salmon. It has an appetite-suppressing quality, because it’s loaded with fiber, 10 grams in 2 tablespoons, helping you to feel full. Chia seeds are also rich in antioxidants that help protect the body from free radicals. Chia’s positive health effects include boosting energy, stabilizing blood sugar, aiding digestion, and lowering cholesterol. 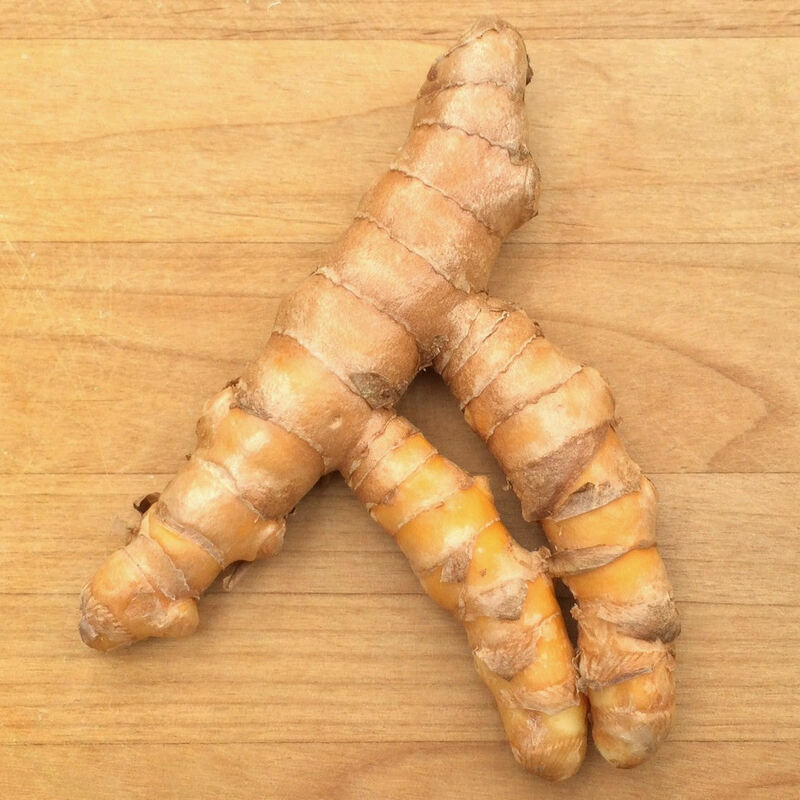 The tumeric root resembles the ginger root but has a more golden color. Tumeric can be found in powder, pills or liquid form.The fresh root can be pressed into juices. Tumeric is a staple of Indian cuisine. Try cooking with the powder; you can sprinkle it on top of soups, vegetables or protein. It’s great in deviled eggs. In addition to Green Vegetables, Chia Seeds and Tumeric, I also like these other foods for their super nutrition: Wild Salmon, Sardines, Cacao, Maca/Green Tea , Red Bell Pepper, Beets, Sweet Potato, Pumpkin Seeds, Black Beans, Avocado, Raw Ikaria Honey , Raw Nuts and Berries, especially Blueberries. You usually can’t go wrong eating fresh, organic, GMO free fruits and vegetables. This month is Nation Slavery and Human Trafficking Prevention Month. Compassion First’s 2014 Dollar for Dollar January Match Challenge will match your donation dollar for dollar, Jan. 1 – Feb. 1, 2014. Your donation will provide hope and solutions for victims of child sexual trafficking. Join me in this wonderful opportunity to multiply your giving. When I was thinking about the Compassion First challenge, a song came to my mind. 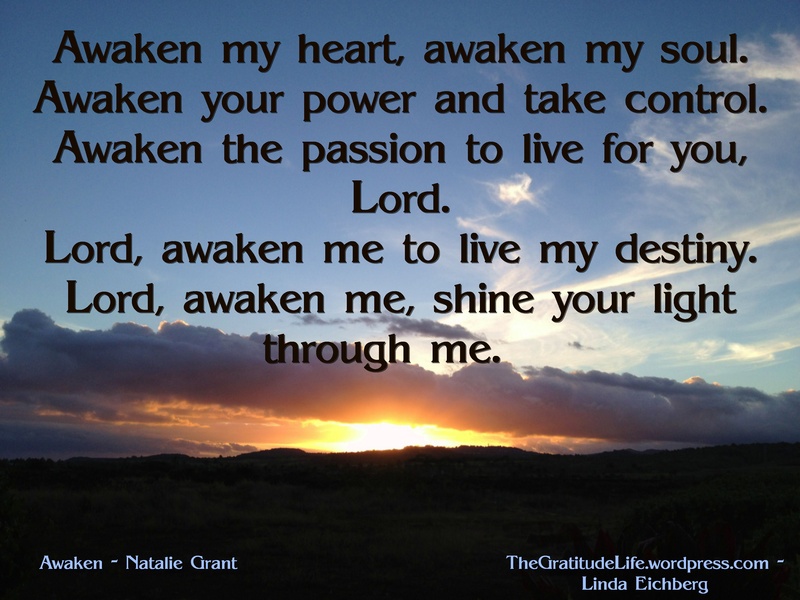 It was a worship song called “Awaken.” It was an amazing God-incidence that when I was looking up the lyrics for the song this week, I came across several articles about why Natalie Grant wrote the song. To join the dollar 4 dollar campaign go to – http://www.compassionfirst.org/ . Click on the Donate button and choose your donation Event – 2014 Dollar 4 Dollar. Thank you! All materials contained within this blog are copyrighted and may not be used without expressed written permission. This is a personal blog, expressing my personal opinion. Please seek professional medical help for any health conditions you may have. We have all been hearing a lot of arguing about health care on the news. Who can come up with the perfect plan that is thorough enough to solve all our health care problems? I am not interested in getting into the political side of the debate but I agree, we are in a crisis and we have to do something. This is shocking! One in three children! My father was willing to sacrifice just about anything for his family to have a legacy of good health. His suffering in hospitals as a youth, from chronic digestive illness brought on by what was considered a typical Italian diet, changed his thinking and way of life. He became the model of a healthy lifestyle. My daughter, Lindsay and I, as well as other family members, enjoy hiking and even a little mountain climbing to stay fit. At our last outing, my sister Maria and I met some new friends while we were stretching on our way up the mountain. Fellow mountain climber follows Maria Lauren in a split – hamstring stretch. Today, is the “Father of Fitness,” Jack LaLanne’s birthday. 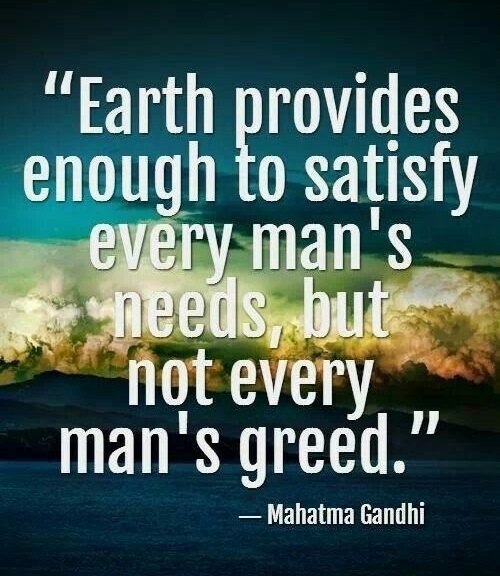 He worked tirelessly to create a healthier world. Although he has left this world, his legacy lives on. He passed on his knowledge and enthusiasm for health and fitness to my dad who passed it on to his children. When I was growing up, Jack was spreading the news about the health benefits of drinking fresh raw vegetable juices while the majority of the world bought into the fast food – junk food mindset. 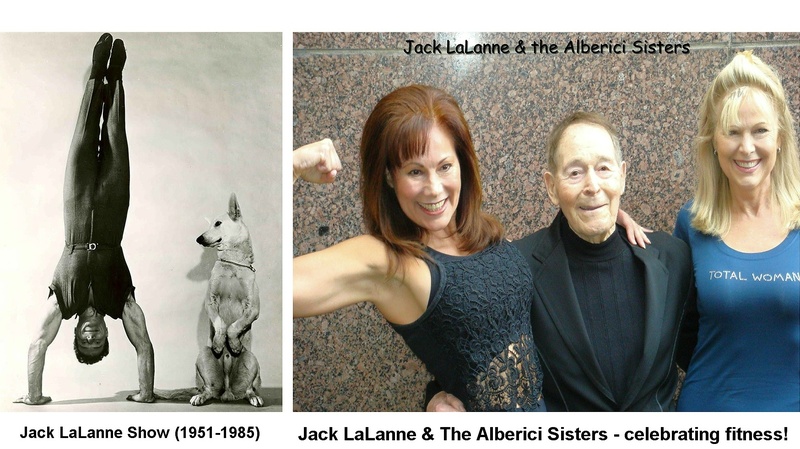 I had the honor of meeting Jack and being on the Jack LaLanne TV show back in the mid 80’s. What an amazing man! We met again in 2009 for his 95th birthday celebration. The Fitness Instructors of Total Woman Gym saluted him with 95 jumping jacks. My sister, Maria, representing Kaiser Permanente’s Fitness Team was leading the group! Besides the benefits of good health, I am grateful to my parents for giving me many wonderful life skills. My parents worked hard all their lives and finally achieved their dream of providing their children with a large home in the suburbs. One day a fire took it all. Our beautiful family home burned to the ground along with all the contents and cherished photos. Conquering the ‘mountain’ of loss is one of the hardest things to do. 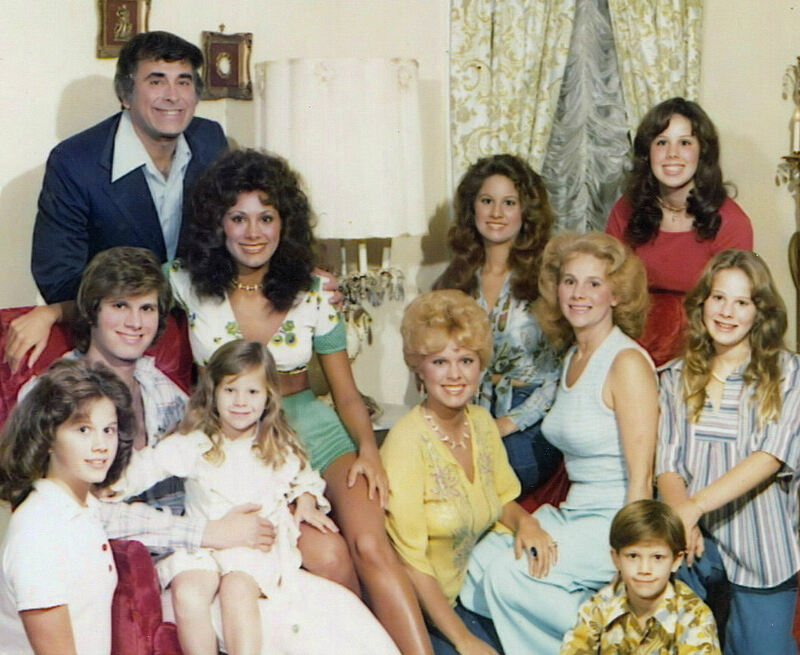 My parents and siblings were resilient; faith in God, love and thankfulness held them together. Maria and I had just moved out of the house before the time of the fire. We were working in the television industry. I am grateful we had a few family photos with us. These photos are practically the only ones left from my youth of my family and I having fitness fun together! DISCLAIMER: This is a personal blog, reflecting my personal opinions and its contents are not intended to offer personal medical advice. This blog does not necessarily reflect the opinions of my employers. You should seek the advice of your physician or other qualified health provider with any questions you may have regarding a medical condition. All content is copyrighted. Photo credit is given when know but some photos of unknown origin may appear on this blog. Please contact me if you have additional information about photo credits. Beauty Products That Are Good Enough To Eat! Last week, a couple of people asked me about what beauty products I use on my face and if there were any products I would recommend to them. I am not loyal to any particular beauty potion. I look at the contents, and stick with products that mostly contain ingredients found in nature. First, I must say that I don’t think any face cream can do what genetics can do. I have my parents to thank for my clear complexion, but there are several things I do to keep and appreciate what God gave me. The questions brought to mind my dad, who was considered a ‘health nut’ because of his forward thinking about natural foods. Now, people are making money on those same ideas. As a young teen, when I wanted to start wearing makeup, my father showed me how to put fresh sliced red beet root on my cheeks and lips to give them a rosy glow. Of course, I hated it when he did this. Why couldn’t I wear makeup like normal girls? I was very surprised when I recently saw a young “beauty expert” on television, showing viewers how they can apply fresh sliced red beet on their cheeks and lips as a cosmetic. She was fashionably dressed and used special makeup brushes for the application so it looked a lot more ‘cool’ than how my dad did it but I could hardly believe what I was seeing. This spokesperson inspired me to record some of my natural facial creations that I have personally used. Similar formulas have been used by the women in my family for decades. You don’t need to pay a lot of money to make your skin look and feel better. Here are the15 natural food products you would need to make 15 fantastic beauty products! 15 BEAUTY PRODUCTS: Blush, Lip Stain & Gloss, Daily Moisturizer, Moisturizing Mask, Moisture Mask – For Oily Skin, Exfoliating Mask, Toner, Brightening Mask, Healing Mask, Vitamin C Fruit Facial, Lightening Mask, Anti-Bacterial Mask, Make Up Remover, Exfoliating Face and Body Scrub and Eye Revive. 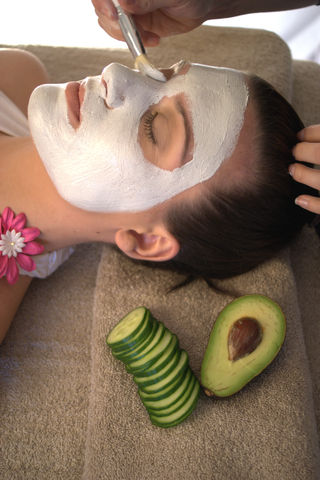 Avocado has been used for centuries as a beauty aid to nourish dry, sun-damaged and mature skin. Avocado is a fruit high in nutrients such as iron, potassium, magnesium, and vitamins A, and E. They are rich in oils that will replenish skin’s lost moisture, reduce eye puffiness, and leave skin soft, smooth and rejuvenated. Avocados are also a good source of the antioxidant vitamin C.
Recipe: Mash the flesh of 1/3 of a ripe avocado with a fork and ½ tsp. extra virgin coconut oil; blend together. Spread on your face and let it sit for 10 – 20 minutes, rinse & pat dry. The green color of the avocado flesh will disappear once you rub it in. If some of the mixture is left over, spread it on some whole grain toast or crackers with a little raw honey, Yum! Mash the flesh of 1/3 of a ripe avocado add a squeeze of lemon or other citrus fruit and half teaspoon honey. Leave on your face 10 – 20 minutes, rinse & pat dry. Lemon is a natural skin lightener but it can be drying. A little goes a long way. Follow up with a moisturizer and a high SPF sunscreen. This is important. Lemons make your skin photosensitive. Extra Virgin Coconut Oil is excellent as a make up remover. It is also great for removing eye makeup & as works great as a lip gloss. A number of studies over the years have found that coconut oil improves the absorption of the B vitamins and also vitamins A, D, E, K, beta-carotene, CoQ10, and other fat soluble nutrients, minerals such as calcium, magnesium, and some amino acids—the building block for protein. Green tea is full of antioxidants. Steep a green tea bag in hot water for 3 minutes & let it cool slightly so it is still a little warm. Apply to your face. If you have time to lie down, soak a face cloth with the brew, squeeze out excess and cover your face with the cloth. Use Jasmine green tea if you like the refreshing smell & taste of Jasmine. Drink the remaining tea or store in a small spritzer bottle for later use. “Green tea is the best food source of a group called catechins. In test tubes, catechins are more powerful than vitamin’s C and E in halting oxidative damage to cells and appear to have other disease-fighting properties. Studies have found an association between consuming green tea and a reduced risk for several cancers, including, skin, breast, lung, colon, esophageal, and bladder.” – Harvard Health Publications, Harvard Medical School. In a small bowl, mix 1/4 teaspoon raw honey and ½ teaspoon pure water. Blend well with the back of a spoon until the honey is completely dissolved. Smooth over your face with your finger tips. Let the honey and water mixture dry for about 30 seconds. Next apply a thin layer of Extra Virgin Coconut Oil. Blot off any excess oil. For day wear, follow with a 15-SPF sunscreen or higher. Makeup will blend nicely over this nutrient rich moisturizer. Honey is a natural humectant and will restore and hold moisture to your skin. Coconut oil has the potential to aid in the protection of a number of health problems due to its documented antimicrobial, antioxidant and anti-inflammatory properties. 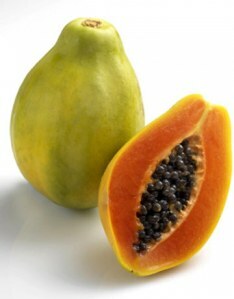 Add papaya, honey and pineapple to a blender or food processor and blend together. After cleansing your face apply a layer of the pulp to your face. Leave the mask on for about 10 minutes. * Rinse the mask off with warm water and then cold water to close your pores. Drink the leftovers or add them to a smoothie. Finish your facial with a spritz of green tea toner. Papaya contains a natural enzyme, papain which will help your skin shed dead cells; the enzyme will also speed healing of damaged skin. It has an abundance of health giving phytonutrients. Pineapple is a natural source of glycolic (alpha-hydroxyl) acids. This acid will help fight free radicals, acne and help your skin shed dead skin cells. Bromelain, the enzyme found in fresh pineapple is concentrated in the core of a pineapple, the tough center. You can get most of its benefits by juicing. 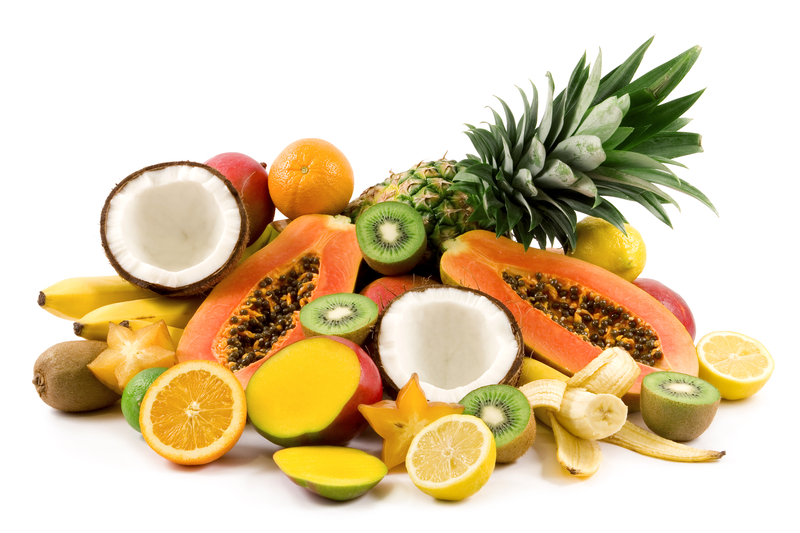 *If you’re short on time and want to skip the blending process, you can rub a fresh slice of papaya or pineapple onto your skin to receive the benefits of their natural enzymes. If irritation occurs discontinue use. Scoop out 1/4 cup fresh, ripe papaya and thoroughly mash it with a fork. Add honey, orange juice and blend well. Apply to cleansed face. Let the mask sit on your face about 10 minutes. * Rinse the mask off with warm water and then cold water to close your pores. 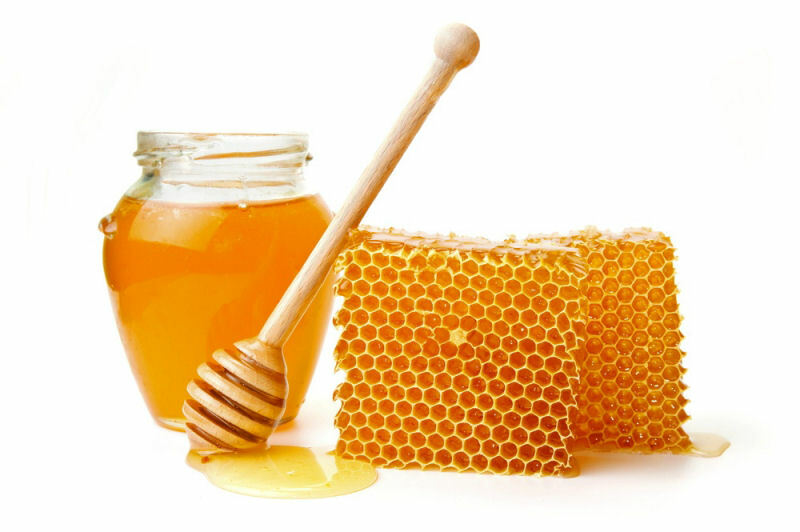 Tip – if honey is too thick, warm the honey in its original bottle by placing the bottle under hot running water. Once the honey is runny, measure out half a teaspoon and add it to the mixture while stirring. The mask is now ready to use. Fresh orange juice contains vitamin C (ascorbic acid), plays a key role in the formation of collagen, the most important component of connective tissue. As an antioxidant, it can help prevent the cell damage done by “free radical” molecules. Adequate collagen synthesis is essential for strong ligaments, tendons, dentin, skin, blood vessels and bones, and for wound healing and tissue repair. Vitamin C has been implicated in halting the progression of several disease states including: cataract formation, cancer, and heart disease. Be sure your diet contains lots of vitamin C-rich foods. Consume any left over mask for the added health benefits or it can be stored in a sealed container in the refrigerator. It will keep for a couple of days. Yogurt is used around the world as a beauty product. After using this mask, you will know why. It will leave your skin soft and supple. Apply a thin layer of full-fat or low-fat plain Greek yogurt to your face. Let sit for about 15 minutes. Your face will feel tightened and refreshed afterwards. (If using regular, non-Greek style yogurt, gently press cotton squares onto the top of the area where you apply the yogurt to keep the mask from dripping. Leave the cotton squares on your face until you are ready to rinse off the mask.). Variation – Add finely ground oatmeal for a thicker mask. Oatmeal is very soothing to the skin. Oats contain silicic acid which increases skins immunological response and protects dry skin from irritation. Mix together ½ teaspoon honey, ½ teaspoon fresh lemon juice, (discard the seeds) and ½ tablespoon plain yogurt, preferably Greek yogurt. If the mask is too runny, use cotton squares on top to hold the mask in place. Rinse off after 10 – 15 minutes. Honey will calm any inflammation in skin. Honey can also be used alone as a mask to moisturized and reduce redness. Lemon juice contains vitamin C and citric acid which has lightening properties. Using this mask will make your face brighter and reduce dark spots. You can also dab lemon juice directly on age spots to lighten them up. Let sit for 5 minutes. If irritation occurs discontinue use. Lemon may make your skin photosensitive. Always follow with a moisturizer and a high SPF sunscreen. Take 1 tablespoon yogurt; add a teaspoon of honey and half teaspoon cinnamon. Mix well. This is a good mask for acne prone skin. You may leave this mask on your skin 10 -20 minutes. Yogurt with honey and cinnamon, how yummy! Enjoy eating any left overs and enjoy your silky smooth skin. Cinnamon is a natural anti-bacterial and preservative. Just smelling cinnamon boosts cognitive function and memory. Arthritis Relief – In a study at Copenhagen University, patients given half a teaspoon of cinnamon powder combined with one tablespoon of honey every morning before breakfast had significant relief in arthritis pain after one week and could walk without pain within one month. Other studies have found success with cinnamon in: Fighting some types of cancer, helping to regulate blood sugar, and for lowering cholesterol. Ceylon cinnamon is the best. Using more than half a teaspoon of cinnamon can cause side effects. Check with your doctor. Slice a disk of fresh Red Beet Root. Lightly dab it onto your cheeks and blend in color or swirl a make up blush brush over the beet and apply color lightly to cheeks. 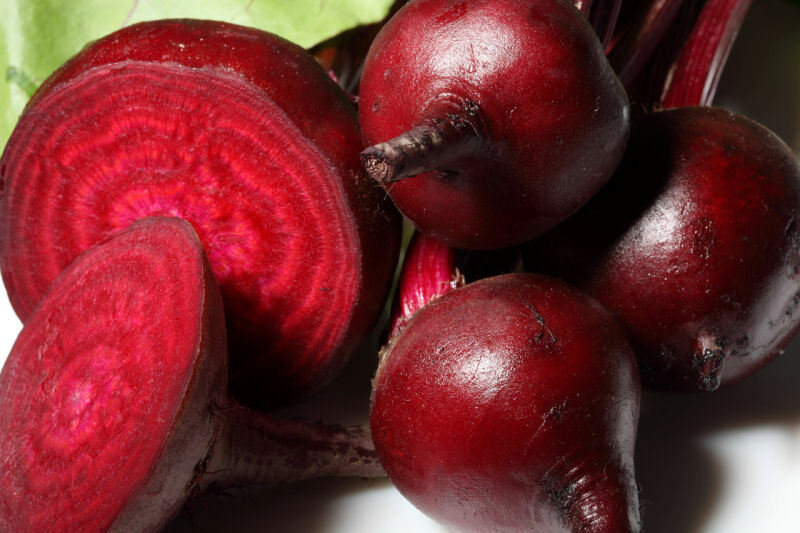 Red beet’s unique crimson-red color is due to betalain pigments. Betaine is known as a terrific antioxidant and is rich with beneficial phytochemicals. Slice a wedge of a red beet root and apply to lips or use a lipstick brush evenly apply its juice to lips, let set. You can also apply a gloss of coconut oil over the stain. If you don’t have a lipstick brush, rub the wedge of beet over your lips being careful to stay inside the lip line. Take it with you “on the go,” stored in a zip lock bag. Beets are a major source of cartenoids to ensure healthy eyes, folate and potassium to keep your heart pumping properly, fiber for digestive care, vitamin C, copper and magnesium for healthy bones, as well as energy-producing iron and phosphorus. You can use this lip color alone or seal it with a gloss of coconut oil or a mixture of coconut oil and honey. Go ahead and lick your lips! Cucumbers are the most wonderful and natural eye pads you can find for yourself. It is used as a treatment for tired eyes around the world. Slice a disk of cool cucumber. Find a comfortable place to relax and place over eyes and rest for 10 minutes. Cucumber contains caffeic acid which can bring down water retention, diminishing the puffiness and swelling under the eyes. Cucumbers are 95 percent water. Eating this vegetable will keep the body hydrated while flushing the body of toxins. Don’t forget to leave the skin on because the skin contains about 10 percent of the daily-recommended allowance of vitamin C.
Another refreshing eye reviver is green tea. Soak two cotton squares with cool, organic anti-ageing, green tea. Squeeze out excess liquid. Lay back and place the cotton pads on your eyes. These eye pads do wonders after a long day. Enjoy! Cucumber makes a great treatment for irritated skin. Because the cucumber is pH balanced to the human skin and full of water, it improves irritation caused by rashes, wind burn, sun burn and any other situation where the skin is aggravated. It helps in soothing, tightening and softening your skin. Cucumbers have a good amount of vitamin B. It also contains the vitamin’s A & C and essential nutrient mineral’s magnesium, potassium, and silica. This makes cucumbers an important part of skin care. Puree a small amount of cucumber, with seeds removed, in a blender. Lightly rub blended cucumber onto face and let sit for 10 – 15 minutes. Rinse and pat dry. Your face will feel revitalized and refreshed! If you don’t have access to a blender, you can slice a half inch thick disk of cucumber. Lightly pummel to release its juices. 1) Place 1 tablespoon oat bran and 1 tablespoon coconut sugar or brown sugar in a small bowl. Add a few drops of water, just enough to make a thick somewhat dry paste. Caution – too much water will dissolve the sugar completely. 2) Blend together and apply to your face and body in a circular motion. You can also leave the scrub on your face for 5 – 10 minutes for added benefits. 3) Rinse with cool water. (Optional) Finish with a spritz of green tea toner. Oat bran will soften and smooth your skin. It contains enzymes that stimulate circulation and gently exfoliates. It has been used for decades to treat a wide variety of skin ailments. Eczema, poison-ivy and poison-oak rashes respond well when treated to a warm oatmeal or bran bath. Coconut Sugar contains small amounts of the minerals Iron, Zinc, Calcium and Potassium, Amino Acids, B Vitamins and antioxidants that may provide some health benefits. Brown Sugar is the perfect texture for a scrub and works great all by itself. The molasses in brown sugar supplies some nutrients. Sugar is a source of glycolic acid, an alpha-hydroxy acid and a key ingredient in pricey beauty products. The natural glycolic acid in sugar conditions and moisturizes skin. If your skin is on the drier side, add extra virgin coconut oil to the mixture for a more moisturizing scrub. Follow all facials with a sun screen before going outdoors. Drink plenty of water, breathe fresh air, eat natural food and exercise to refresh your skin. Spread a little joy and take some time to take care of yourself. You’re worth it! The Alberici sisters, Linda Eichberg & Maria Lauren exercise to keep their skin healthy and glowing. DISCLAIMER: This is a personal blog, reflecting my personal opinions and its contents are not intended to offer personal medical advice. You should seek the advice of your physician or other qualified health provider with any questions you may have regarding a medical condition. All content is copyrighted. Photo credit is given when know but some photos of unknown origin may appear on this blog. Please contact me if you have additional information about photo credits. I don’t usually ‘follow’ Lady Gaga but when I heard her unfortunate news, I was eager to learn more about how labral injuries develop so I could safe guard myself and my clients from the pain and discomfort associated with them. As a singer/dancer and a fitness trainer, certified in Pilates, I frequently get asked questions about hip pain and tightness. Lunges like peaceful warrior and warrior one from yoga are excellent for opening the hips and increasing blood flow. For people with sedentary occupations, it’s important to correct the prolonged hip flexion of sitting. The labrum is a ring of soft cartilage formed around the edge of the bony socket of the hip joint. It helps provide stability and flexibility to the joint. Lady Gaga’s high energy routines require repeated high intensity movements which can lead to hip labral damage. UNFORTUNATELY, Dancers and athletes are at higher risk for this type of injury. That would include my students who participate in multiple dance aerobics classes that involve repetitive twisting and pivoting motions. In addition to overuse, pre-existing conditions are also risk factors. Stiffness or limited range of motion in your hip joint. A predictable pattern of muscular imbalances in the pelvis, has been discovered with labral tears, known as lower crossed syndrome. Tightness of the hip flexors and lumbar erector spinae with weak abdominal and glutial muscles are typical of this syndrome. The imbalance leads to increased hip flexion, anterior pelvic tilt and a hyperlordosis of the lumbar spine. These problems may be improved by a Pilates program prescribed by a doctor or physical therapist. Most important, before problems occur, consider making Pilates part of your fitness training while your hips are healthy. Sitting for long periods can tighten the hip flexors and weaken the glutes. 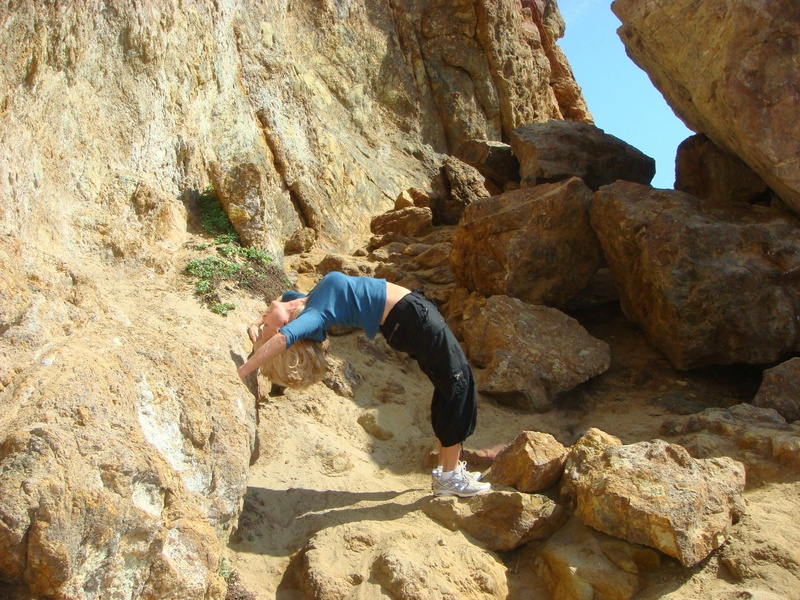 This standing bow pose (dancers pose) I am demonstrating, can help correct this imbalance by lengthening the hip flexors and strengthen the glutes. We often neglect ourselves while striving to take care of the needs of others until mental, emotional or physical discomfort occurs. 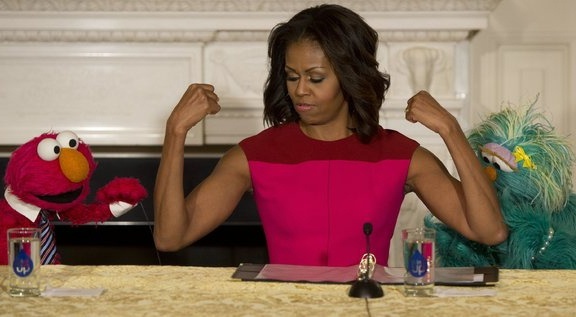 Lack of exercise, stress and poor nutrition all lead to dis-ease. I help my clients aspire to achieve their best physical condition in body, mind and spirit. I do this by encouraging them to combine their fitness with several factors considered valuable to overall wellness. You can have radiant health and together we will enjoy achieving it! Exercising with a friend is fun and it will help you stick with it. My sister Maria Lauren and I love presenting positive fitness techniques together. Here, we are doing a modified back bend or half camel. This is a great stretch for the front of the body and for improving spinal flexibility. A wonderful remedy for tightness if you spend a lot of time hunched over a computer. 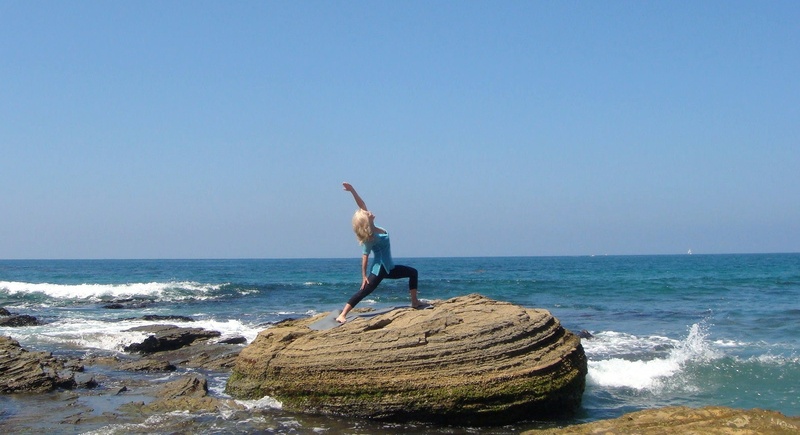 It’s important to remember that camel pose is not about reaching your heel. It’s more about opening your entire spine in a large arch. Keep in mind that with half camel, your hips should press forward, your heart needs to open and expand upward and your glutes move away from your heels. The source of hip pain can be very difficult to interpret and treat. Pain can result from under or over use of muscles, tightness, or excess length. These muscular imbalances may be the result of neurological changes, not only structural changes in the muscle. Diagnosing anterior hip pain is very complicated because the multiple structures in the hip have the potential to produce similar pain syndromes. If you are experiencing pain please see your doctor or physical therapist for a proper evaluation and discuss any new exercise programs with them. 8) Anterior Hip Pain – John W. O’Kane, M.D., University of Washington School of Medicine, Seattle, Washington – American Family Physician. 1999 Oct 15;60(6):1687-1696. DISCLAIMER: This is a personal Blog, reflecting my personal opinions and its contents are not intended to offer personal medical advice. Statements on this site do not represent the views or policies of my employer, past or present, or any other organization with which I may be affiliated. All content is copyrighted. Photo credit is given when know but some photos of unknown origin may appear on this blog. Please contact me if you have additional information about photo credits. Not too long ago, a friend of my daughters proudly showed me a package of newly purchased bread, saying, “look, I got my mom whole wheat bread, she wants to start eating more healthy.” “Fantastic,” I thought, until he showed me the label. The first ingredient was whole wheat flour; the second was wheat flour, and then wheat gluten. This bread was not 100% whole wheat nor was it particularly good for health; it contained sugar and chemical preservatives. There was no way to know what percentage of whole wheat was actually in the bread. If you really want to go healthy, avoid all products containing enriched or bleached flour. 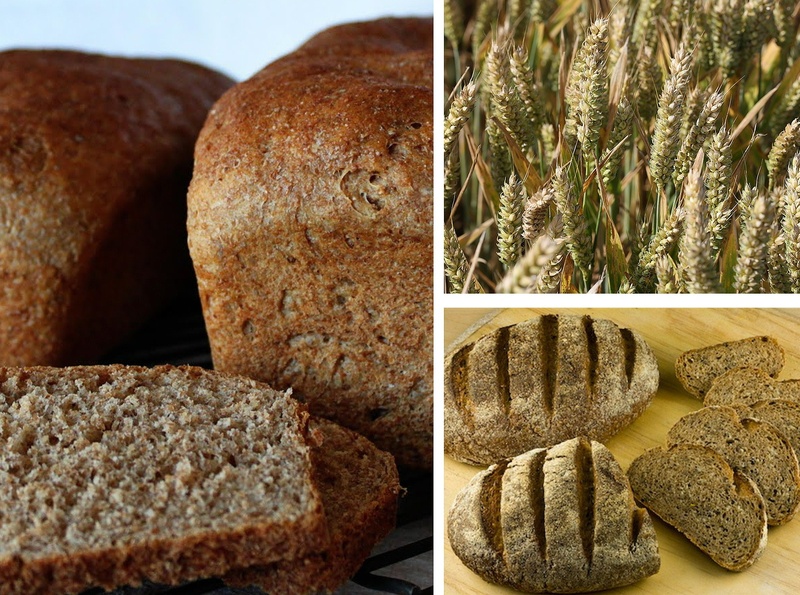 Breads made with sprouted grains are best. Sprouting infuses life giving enzymes into your bread and boosts the vitamin and mineral content (as long as it is not overcooked). 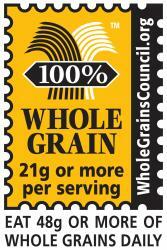 Look for breads that are sprouted, flour less or 100% whole grain. Breads that contain seeds or bean flours add extra protein. These whole or ancient grains are good wheat alternatives: spelt, amaranth, millet, quinoa, barley, wild rice, rye, farro (einkorn), kamut and bulgur. I noticed there’s a growing trend in packaged foods even in ‘health foods’. Manufactures are using several types of ‘sugars’ in the ingredients so they don’t have to put sugar at the top of the list. For example, an ‘energy’ bar or box of cereal that has sugar as second or third in the ingredients may also contain other types of sugars, like: high-fructose corn syrup, brown sugar, malt syrup, agave nectar etc., so ‘sugars’ could actually be the main ingredient and you end up eating more sugar than you intended. Check the total carbohydrate and sugar stats to make a more educated choice. Agave nectar has been deceptively marketed as a healthy alternative. It is true, agave syrup doesn’t cause a blood sugar spike like white sugar does but it is very high in fructose, higher than high-fructose corn syrup. Fructose consumption is a risk factor for non-alcoholic fatty liver disease, according to a study published in Journal of Hepatology. The report also found, the increased consumption of high fructose corn syrup, primarily in the form of soft drinks, is linked with complications of the insulin resistance syndrome. Insulin resistance or metabolic syndrome increases the risk of diabetes and early heart disease by causing atherosclerosis (hardening of the arteries). Coconut sugar is another so called “healthy alternative” and should also be used sparingly. The major component of coconut sugar is sucrose (70-79%), followed by glucose (3-9%). Sucrose (table sugar) is made up of half fructose. That makes coconut sugar 38-48.5% fructose, which is about the same as table sugar. The Hippocrates Health Institute recommends using Stevia for sweetening. I am thankful my parents never had soft drinks or sugar laden sweets in the house when I was growing up. I never got use to the taste of sodas, so I have no desire for them, (although I do, on occasion, have other sweets). A child who is exposed to junk food will have a difficult time getting out of the habit later on in life and will pass their choices back to their own kids one day, too. “Desert Health News” recently published this article to which I was a contributor along with fellow entertainers, my sister, Maria Lauren and Patti Gribow. Follow the link. DISCLAIMER: This is a personal blog, reflecting my personal opinions and its contents are not intended to offer personal medical advice. Statements on this site do not represent the views or policies of my employer or any other organization with which I may be affiliated. All content is copyrighted. Photo credit is given when know but some photos of unknown origin may appear on this blog. Please contact me if you have additional information about photo credits.